Warren Lane Quarry is a working yard, used by the Parks Ranger Team and so we only started doing conservation sessions here in September 2015 (read the article here: opens in a new tab). 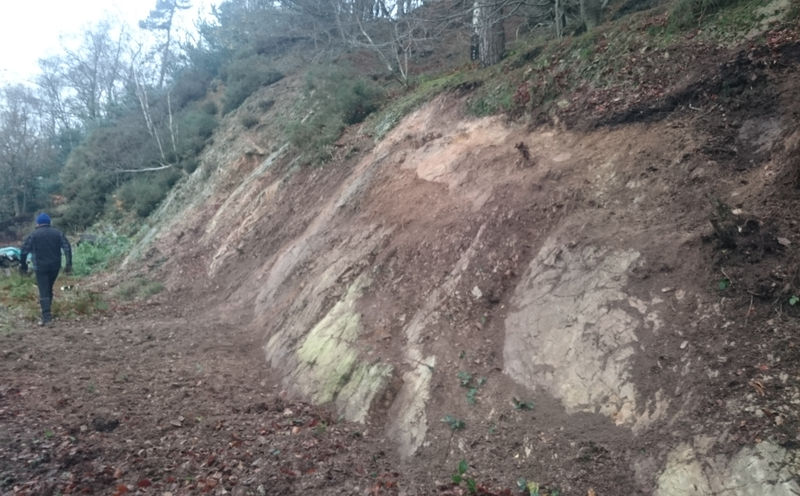 The back wall of the quarry is the western flank of the Lickey Ridge, and is quite overgrown! 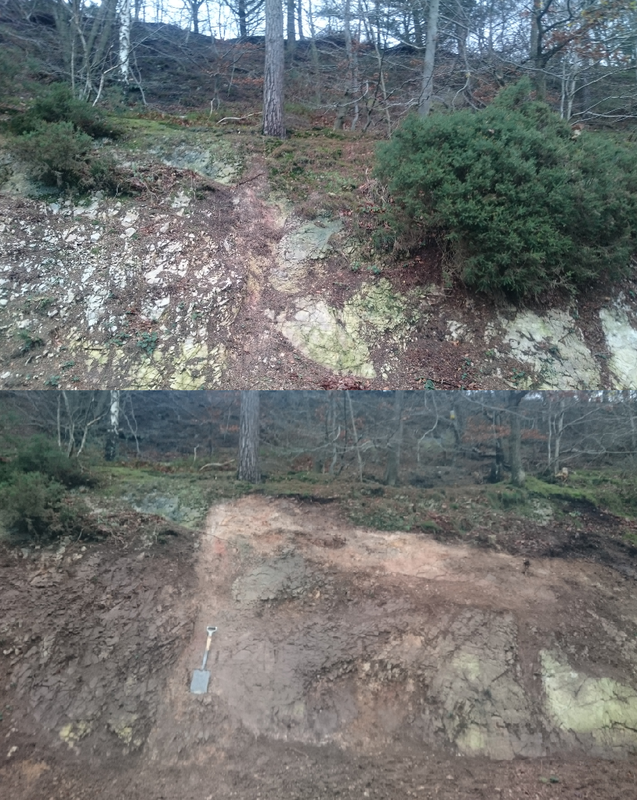 We have been slowly working our way along this rockface to remove gorse, leaf litter and loose chunks of quartzite. Despite the grim and damp weather, we were bolstered by playing cheesy Christmas music, and with only four of us working, we managed to get quite a lot done! The working area is behind the mill buildings, so is hidden from view when you first enter the quarry.